Syed Razak is accompanied by his wife, Datuk Rozalila Abdul Rahman (on his right), to the nomination centre, pictured here with supporters. 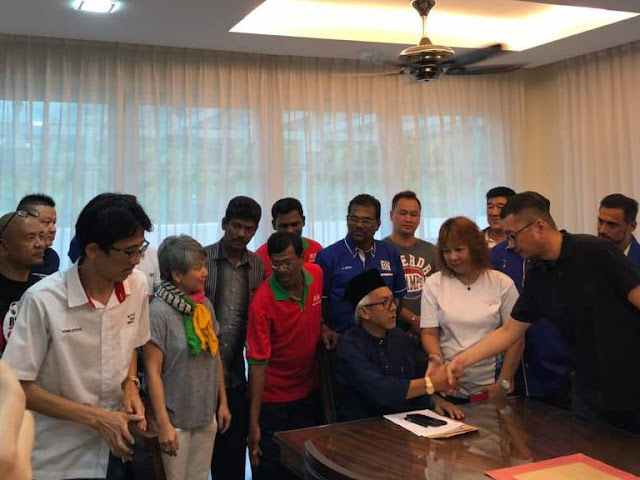 As Pek Moh of Bukit Lanjan is confirmed locked in a straight fight with PKR’s two-term assemblyman and state executive councillor Elizabeth Wong, Syed Abdul Razak Alsagoff pledged to keep his electoral campaign as clean as possible. “No personal attacks, no rhetoric. 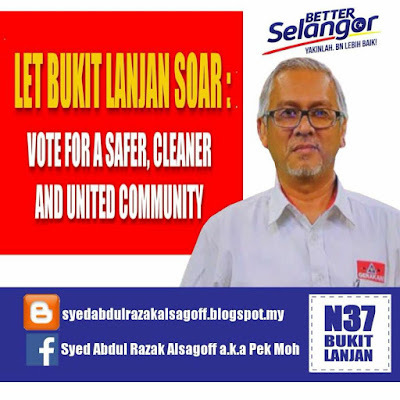 I will campaign on tackling community issues,” Syed Razak said. Speaking to Pulse Of Bukit Lanjan at the Damansara nomination centre (SJKC Puay Chai) in SS2 today (April 28), Syed Razak said: “I believe there has been too much concentration on politicking since the 12th General Election (GE12) in 2008. “This must stop. After GE14, we must work on domestic and international progress for Malaysia. We must all start governing and come up with policies and plans to move forward communities and country,” he added. 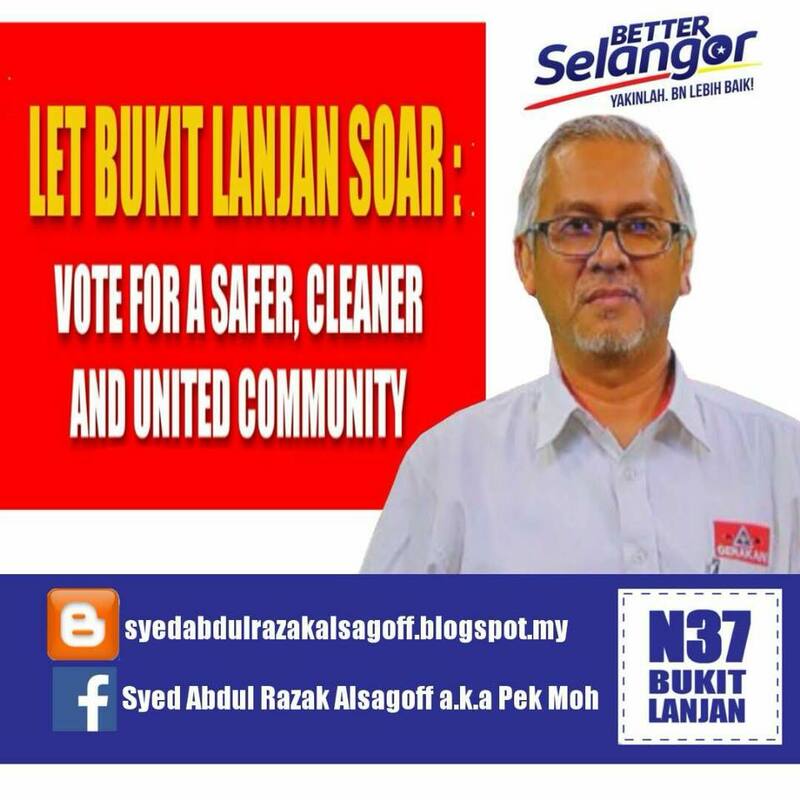 Syed Razak a.k.a Pek Moh (white haired) is the first Malay candidate for Gerakan and Bukit Lanjan in 40 years. 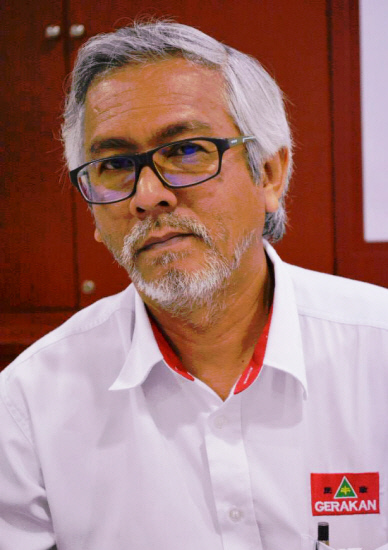 It will be Syed Razak’s maiden appearance in a GE against a two-term PKR assemblyman and a state executive councillor. Syed Razak, whose mother is a Chinese, speaks and understand two Chinese dialects - Cantonese and Hokkien. Syed Razak and wife marching with other Barisan Nasional candidates to the Damansara nomination centre located at SJKC Puay Chai in SS2.